The success of a Jessner Peel is predicated upon the accurate operation of unique substances being combined together to perform a miraculous peeling experience. The Jessner substances being used are resorcinol, salicylic acid as well as lactic acid. These unique components are combined to assist in the exfoliation process of the outer layer of skin, which in turn helps to create the natural peeling experience from the top layer of skin within a few days. The peel is occasionally left upon the effective area for approximately 10 minutes, followed by neutralization and the removal of the solution with cool water. Once the peel has been removed it is recommended to apply a masking or calming cream to your skin. The purpose is for the easing of any discomfort, protecting your skin and encouraging the healing process. As stated, the skin should begin to peel within a few days and continue peeling for about a week. Your skin will also go through a flaking period in which may tempt you to pick at it. It’s recommended by dermatologist that you refrain from picking at it. The New You Once you have gotten pass the peeling and flaking phase, you will undergo a healing period in which your skin will transform from below average to above average or simply beautiful, especially in relations to one’s face. Jessner Peel is used primarily on the face; however, it is currently being used on an individual’s hands, neck and chest or upon most places that have a tendency to be exposed to the sun. Jessner Peel is designed to restore naturally beauty to skin that have been effective by excessive skin exposure and acne cases where hydroxyl acid fail to make on its promise. The good news is that dermatologists around the world are using this procedure to restore a person’s natural beauty and if you are serious about having beautiful, attractive and clear skin then you may want to give Jessner Peel a run for its money. After the application of Jessner Peel, it’s likely that one of the obvious effects one will experience is somewhat of a lighter appearance to the face, which has been identified in this type of treatment as “frosting”. However, there is no need to fret because this occurrence will not last long. In fact, it’s common to experience a degree of flaking and obvious peeling with the Jessner Peel treatment. On account of the healing process being a bit long, there’s always the possibility of reapplying the peel in two to three weeks. One of the greatest benefits of using Jessner Peel is the creative opportunity of skin re-growing and this allows your skin to recuperate from the occurrence of scars and other subsequent damages. After complete recovery from Jessner Peel, your skin should be revitalized as well as a lot smoother, brighter and healthy looking. If you had been experiencing the occurrence of large pores; they will be a lot less noticeable and wrinkles, fine lines and blemishes will be less likely as well. This will be the result of basically any face peel if applied correctly, especially in regard to the Jessner Peel Solution. In fact, it is known to transform faces, which the reason behind happier and lively looking appearances. If you truly want to experience the full effectiveness and beneficial results behind the use of the Jessner Peel, it’s highly recommended that you avoid picking your skin at all cost because this will inevitably cause it scar or become infected. It’s also recommended that your refrain from applying moisturizers because it is known to reduce the effectiveness and benefits of the peel. What exactly is Salicylic Acid? This is one of the ingredients used in Jessner Peel that is also used for treating acne and can actually be purchased as an over-the-counter acne treating medications. You may find it in the aisle where such things as Stri-dex pads are found. Salicylic acid is commonly used for treating dandruff, calluses, corns, psoriasis, warts and other deformities of the skin. What exactly does it do? Salicylic acid is known for assisting in slowing down the process of follicle cell shedding as well as the prevention of clogging. It is also known for breaking down troublesome blackheads and whiteheads. Salicylic acid is one of many forms of medication that is advised to avoided without a doctors consent when combine with resorcinol and benzoyl peroxide. 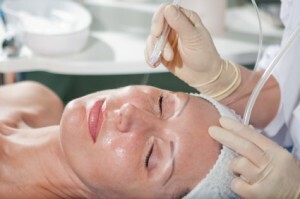 This explains why qualified dermatologists are recommended in the application of Jessner Peel. What exactly is Lactic Acid? 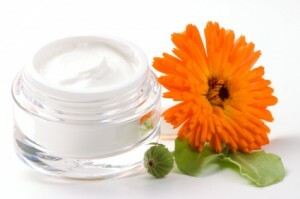 Most people associate the word “lactic” with milk, dairy products as well as muscle soreness and fatigue, but most aren’t aware that lactic acid is also known to be a naturally occurring human metabolite, and in combination with the other ingredients of Jessner Peel, there is actually a lesser opportunity for any allergic reactions. Lactic acid is considered to be less harsh and more moisturizing than skin peels consisting primarily of glycolic acid. It is also a meticulous exfoliation substance which is mainly responsible for the removal of the outer layer of thick and damaged skin in the Jessner Peel treatment. If used for prolonged periods of time, lactic acid has been known to be quite beneficial in the improvement of dry skin, dealing with age spots, making oily and acne prone skin much better as well as lessening the occurrence of fine lines and wrinkles. The primary reason why these three ingredients are so effective in unison is because it is known to slow down the manufacturing of oil while simultaneously healing the skin of any deformities, especially in regard to acne. The Jessner Peel: What does it Do for the Skin? The Jessner Peel method is a type of skin treatment that has become quite popular in the world today. There are countless faithful fans, enthusiast and users of the Jessner Peel skin care treatment that have decided to use it for various reasons. One of those reasons is that users can see and feel the results of using the Jessner Peel. In addition to this, it can also be used on basically any type of skin regardless of problem you may be experiencing with your skin. This includes anything from mild to severe cases of acne, wrinkling and especially situations due to sun exposure. If Jessner Peel sounds like something you could be interested in then read on to discover exactly how the product works and the amazing results that many people are experiencing today. Before this procedure is conducted, a certified dermatologist should apply a cleanser, preferably a glycolic cleanser, to ensure that your skin is free of oil and dirt. 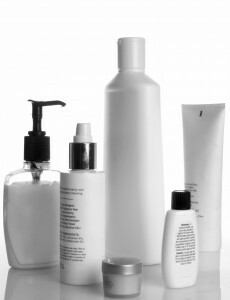 This is critical because it allows the chemicals to penetrate your skin for maximum performance. This may also bring about a slight burning sensation but rest assure, your dermatologist is aware of this and may have a cooling device (fan) to accommodate you. Some dermatologist may even suggest or advise you prepare your skin for Jessner Peel by applying a cleanser like Retin-A during the night for 2-3 weeks.